Social networks aren’t just for people anymore. 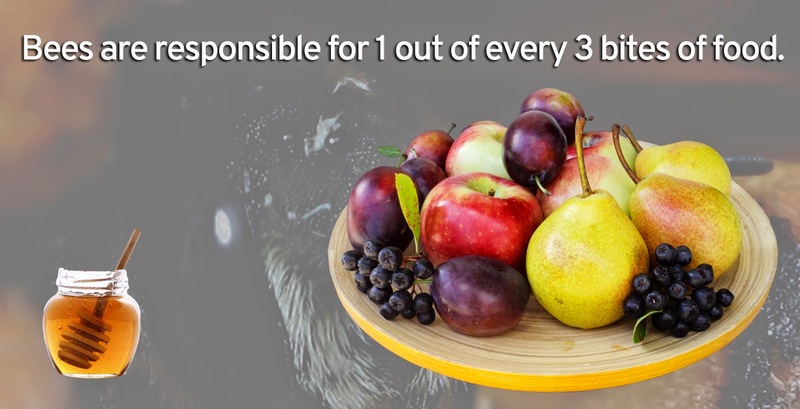 Today, March 18, Crown Bees is launching its solution-driven Indiegogo crowdfunding campaign to build a network of native Bee Boosters who support and raise native bees that can later be shared with local farmers. “Since one out of every three bites of food we eat depends on bees, we need more native bees to help take the stress off of honey bees,” says Dave Hunter, CEO of Crown Bees, a supplier of gentle, solitary bees such as mason bees and leafcutter bees as well as American-made bee houses and supplies. “Together, native bees and honey bees will pollinate more crops and protect our food supply,” he explains. Hunter challenges everyone to be part of the solution and support Crown Bees’ mission today by becoming a Bee Booster and donating to this grassroots campaign. According to Hunter, everyone can be part of the solution. “Everyone needs to help by either supporting the campaign or by raising native bees to pollinate crops. In turn, this lightens the workload of troubled honey bees and helps keep food on your table,” says Hunter. “This is a mission we all have to believe in - and act on now, not later,” he says. Bee Boosters will connect on a new website called Bee With Me. The interactive community unites people across the country that care about the environment, want to help save bees, and are interested in learning how to raise native bees or already have a bee house in their backyard. 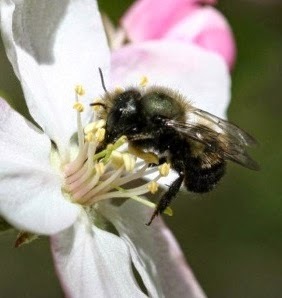 Native, solitary bees, such as mason bees, are easy to raise. It’s easier than hanging and filling a birdfeeder. As an added benefit for homeowners and parents, these gentle bees rarely sting and increase the production of flowers and veggies in gardens. Crown Bees is sweetening the pot for contributors. Everyone who joins the Indiegogo campaign at any level will become a Bee Booster with access to Bee with Me. Additionally, every contributor receives the new “All about Native Bees” e-book and a shout out on Crown Bees’ website. From there, the incentives only get better. Supporters who donate $25 get to adopt a bee. Donors who contribute $500 or more can donate native bee houses to a community garden. Give $5,000 and Hunter will take you and a guest on a tour of Oregon’s Hood River Valley, visiting a working orchard and a local winery. Crown Bees’ Indiegogo campaign launches today on National Agriculture Day. “By participating in our crowdfunding campaign, you’re taking a powerful step toward keeping our crops pollinated and producing the food we eat,” continues Hunter. Great informative site. I'm really https://aussieessaywriter.com/ impressed after reading this blog post. I really appreciate the time and effort you spend to share this with us! I do hope to read more updates from you. When you apply for an automobile title advance, you'll need to demonstrate confirmation that you hold the title of your vehicle. It is vital that your vehicle has an unmistakable title and that your auto credit is paid off or almost paid off.